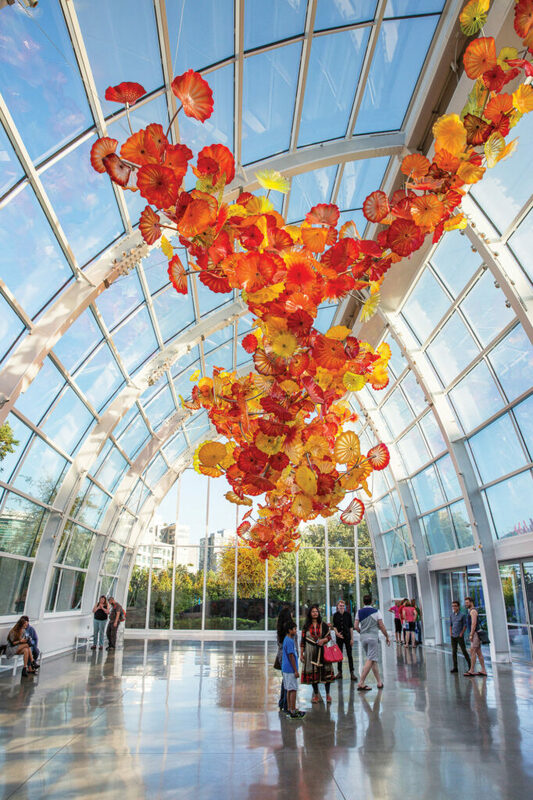 Seattle’s Glass Art community has grown exponentially over the last few decades. One of the most significant examples is Chihuly Garden and Glass (*305 Harrison St; chihulygardenandglass.com), an ode to locally born and world-renowned glass maestro Dale Chihuly. It’s the most comprehensive collection of his work to date and features eight interior galleries, stunning outdoor displays, and a glasshouse that shelters a 100-foot-long burst of amber and sunflower-gold plates. From here, head to Pioneer Square to find an exhibition of whimsical glass works by Pilchuck Glass School (240 Second Ave S, Ste 100; pilchuck.com). The institution was co-founded by Chihuly in 1971. Beyond this preeminent artist, others have left their mark. Standout galleries around town include Vetri (1404 First Ave; vetriglass.com), Traver Gallery (110 Union St, Ste 200; travergallery.com), and Canlis Glass (3131 Western Ave, Ste 329; canlisglass.com). In West Seattle, Avalon Glassworks (2914 SW Avalon Way; avalonglassworks.com) invites visitors to watch artisans at work with free demos, Thursday through Monday. And in nearby Tacoma, the Museum of Glass (*1801 Dock St, Tacoma; museumofglass.org) features a working hot shop that’s open to the public. blowing.com) also offers workshops where you can make a bowl, ornament, or paperweight ($150), while Blowing Sands Glass (*5805 14th Ave NW; blowingsands.com) helps beginners step up to the furnace with a glass-blowing lesson ($170). Want to pick up a souvenir without lifting a finger? 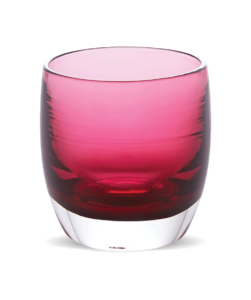 Stop by a glassybaby store (multiple locations; glassybaby.com) to purchase hand-blown candle votives in an endless array of colors.